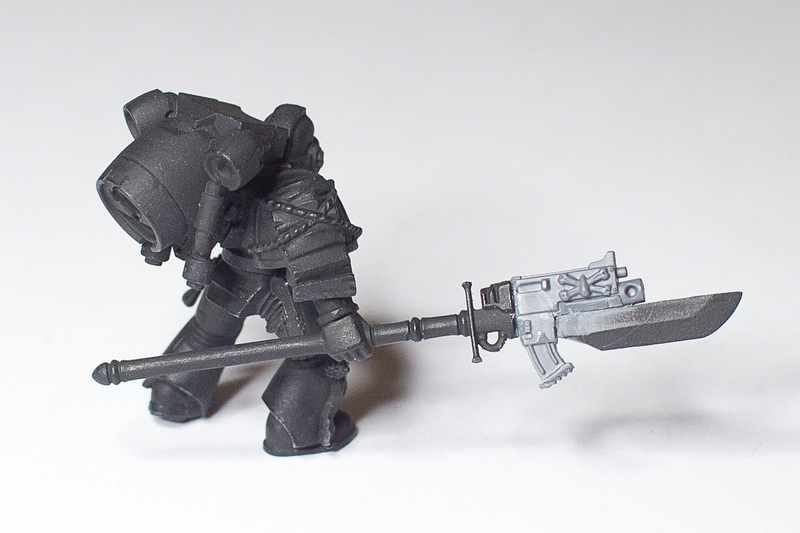 The biggest change so far was the halberd. I used a Grey Knight halberd as the base of the weapon, but there was just one problem. 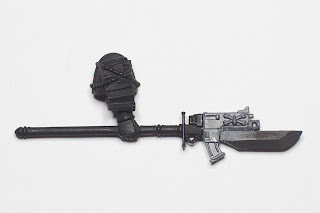 It looked too much like a Grey Knight halberd. So I declared artistic license and rigged it up with a bolter! Rules wise this will just count as his bolt pistol (I figured he just uses it to spray some bolts into the enemy as he charges in, and not accurate fire like a normal boltgun, so the bolt pistol rules seem to fit). I also have a nice book strapped to his right leg (he is a librarian after all), and his left shoulderpad will be another Grey Knight bit with an open book and a bunch of purity seals. Next, I'm planning on making some cables running down the sides of his breastplate From The Warp style and a psychic hood. There is one problem with the hood though. If I make a normal hood, the jump pack intake will be covered. I was thinking about having one that comes up on either side of the head, but I'm not sure. If you have any ideas on how to do it let me know! Nice kit bash. I like the pose so far. Thanks! I'm going to have his other arm extended with an open hand (like the DV Librarian), and maybe a tabbard between his legs. 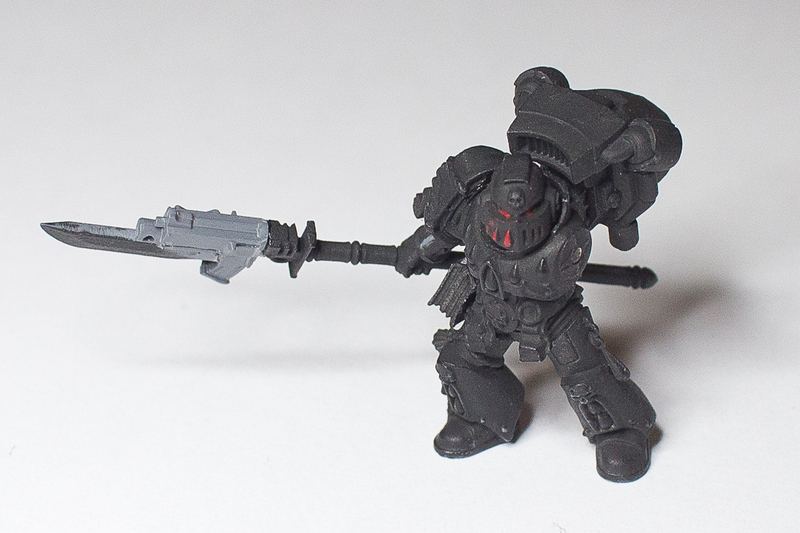 And Then I'll probably finish off the halberd with a few cables running to the blade.